For over a century, beginning in the mid 1800s and continuing into the late 1990s, Indigenous children in Canada were taken from their homes and communities and placed in institutions called residential schools. The Indian Residential School System included 139 schools that were run by churches and religious orders in collaboration with the federal government. Children as young as four years of age attended these schools. The vast majority of the 150,000 children who attended these schools experienced neglect and suffering. Most were separated from their families for long periods of time, were not allowed to speak their language and practice their culture, and were taught that their ancestors were heathen and uncivilized. The sexual, mental, and physical abuse, shame, and deprivation endured at Indian Residential Schools continues to impact generations of Survivors, their families, and communities today. Remarkably, in spite of this tremendous adversity, and as testimony to their courage and resilience, many Survivors and their descendants have retained their language and culture and continue to work toward healing and reconciliation. What is the Indian Residential Schools Settlement Agreement? A fund for commemoration projects. The Truth and Reconciliation Commission was established to inform all Canadians about what happened in residential schools. 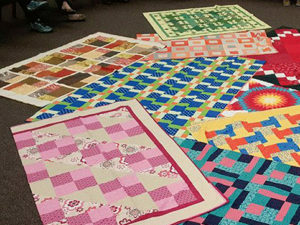 Over six years, the TRC engaged in research and public education and gathered statements from residential school Survivors, their families and others personally affected by the residential school experience and legacy. 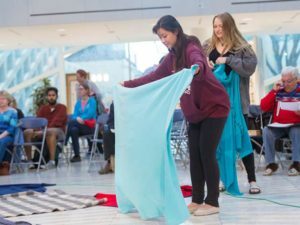 The TRC supported events designed by communities to meet their unique needs, and a commemoration initiative provided funds for activities honouring and paying tribute in a permanent and lasting way to former Indian Residential Schools students. A national research centre has been established to ensure TRC-related materials are preserved and to act as a permanent resource which all Canadians may access. On 2 June 2015, the TRC issued a summary of its final report and 94 Calls to Action for reconciliation. TRC Chair Justice Murray Sinclair concluded that the residential schools system amounted to “cultural genocide.” The Calls to Action are wide-ranging and addressed to governments, churches, and various sectors of Canadian society. 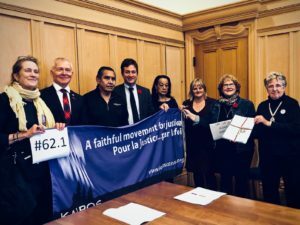 The Truth and Reconciliation Commission identified the United Nations Declaration on the Rights of Indigenous Peoples as “the framework for reconciliation” in Canada. The UN Declaration is an international human rights instrument that sets out minimum standards for States on their duties towards Indigenous Peoples. Fore more information visit the United Nations website. In the summary of its final report, the TRC attributes “the current state of troubled relations” between Indigenous and non-Indigenous people in Canada to “educational institutions and what they have taught, or failed to teach, over many generations.” Canadians hear about the problems facing Indigenous peoples and communities, but know almost nothing about what is at the root of those problems. They do not understand how federal government policies and laws, including the residential schools, are part of this reality. The current education system has failed to teach this. The provinces and territories are at different stages of developing and implementing mandatory curriculum for their schools. For details, please read the Report Card: Provincial and Territorial Indigenous-Focused Curriculum. Sources: Legacy of Hope Foundation; KAIROS Canada; Truth and Reconciliation Commission; Council of the Federation.